With record levels of employment and job vacancies, it is costly and time-consuming to find and hire the right people. 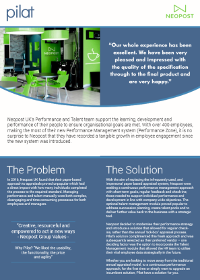 It is more important than ever for companies to have a talent management strategy that identifies, develops and engages the talent they already have; to improve business performance and minimise attrition issues. 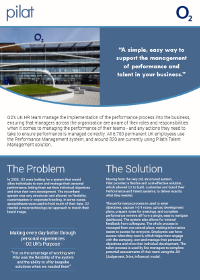 Pilat’s Talent Management software provides the necessary tools for companies to realise the true potential of their existing talent. A key part of any company’s talent strategy is to understand the capabilities and aspirations of their employees. 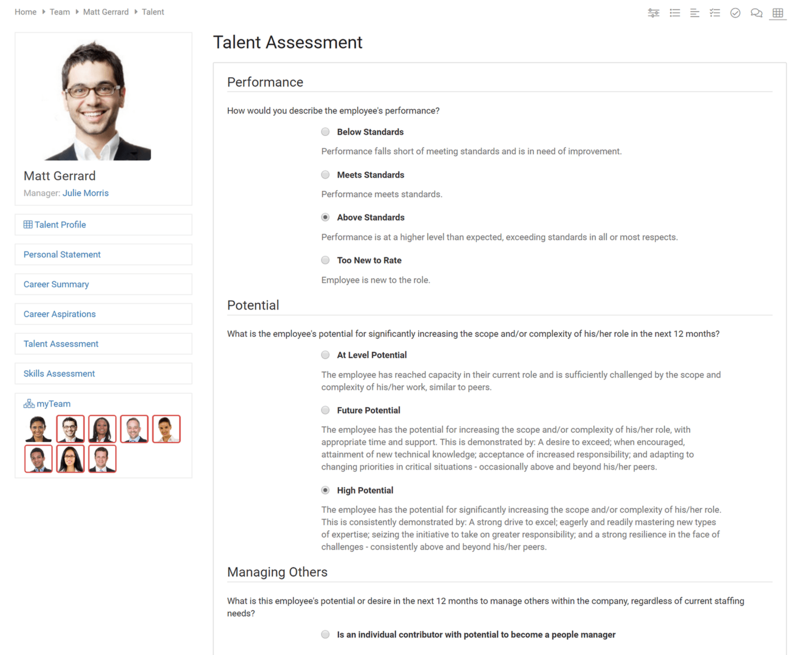 Pilat’s Talent Management software allows employees to keep the company informed of any relevant experience, such as: education level, work history, professional qualifications and associations, language proficiency and skills. 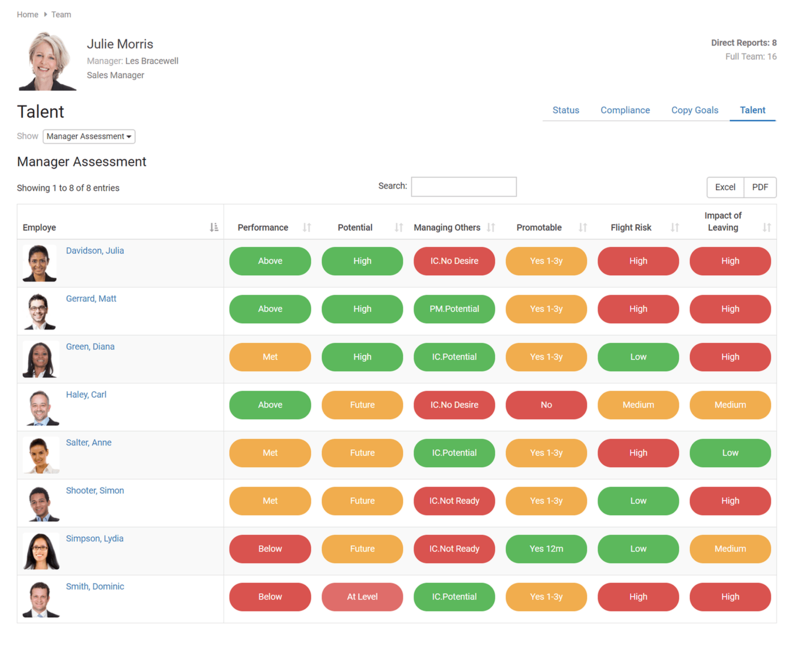 In addition, employees can highlight career aspirations, strengths and development needs, mobility preferences and whether they want management responsibility (not all people do!). Collecting data such as this also improves employee engagement. To underpin any successful talent review, it is important to get input from those closest to an employee. Periodically, managers can assess and compare their team against a range of talent attributes, including: current performance, potential in current role, management potential, promotability, flight risk and impact of leaving. Managers can also identify potential next roles for an employee, providing input into succession planning decisions. Additionally, for companies that use a competency framework, competency assessment can be included. 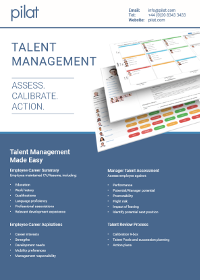 HR can carry out talent reviews at any level within the company and for any group or team. 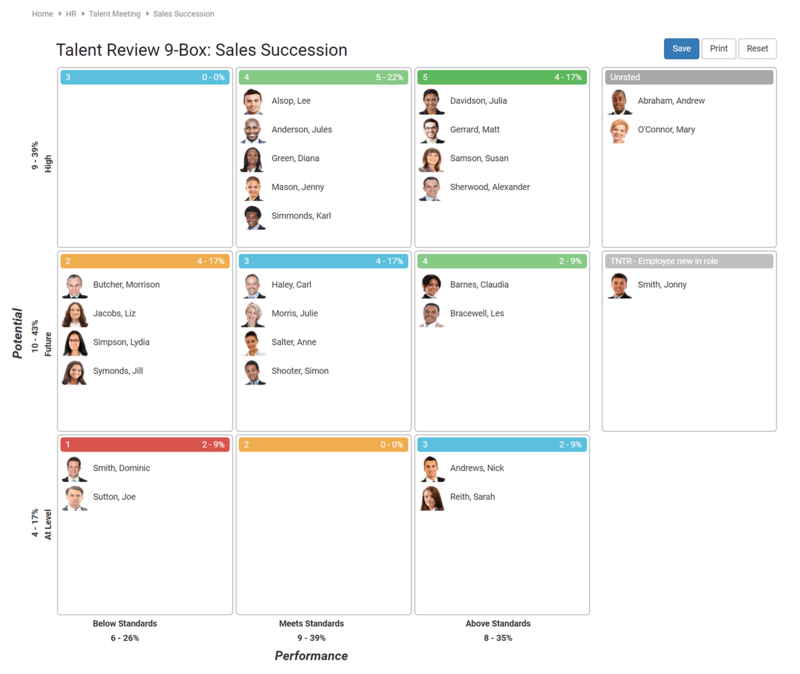 Talent meetings, incorporating tools such as the interactive 9-box for calibration and the talent heat map for analysis, make it easy for HR and senior leaders to review the employee and manager input, and make informed decisions about their talent. 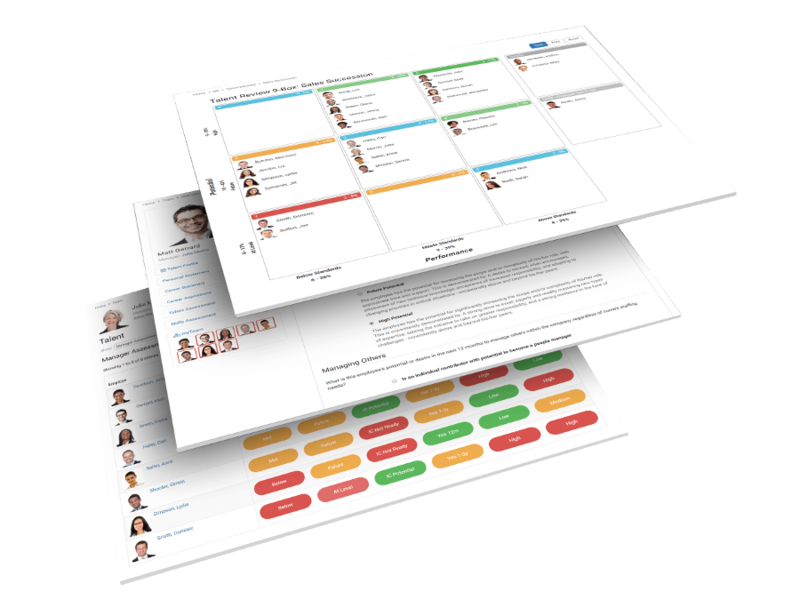 Specific action plans can be created for each employee, which can be fed back to the manager and incorporated into the employee’s development plan. 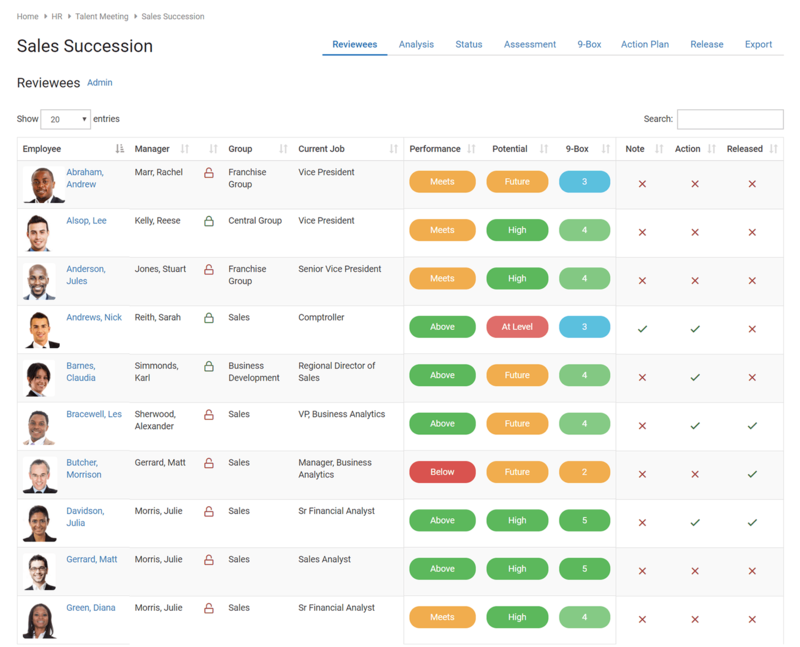 Employees can be assigned to talent pools, providing an easy and flexible way to maintain succession plans for any role or individual.